Though saltwater aquariums require more maintenance and care than freshwater aquariums, their inhabitants tend to be more spectacular than freshwater aquarium fish. The aquarium should be placed away from windows, outside doors, heat vents and air conditioners. Rapid changes in water temperatures are extremely stressful for all fish, and especially so for saltwater fish. 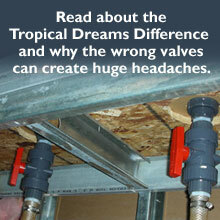 Read more about aquarium design and equipment considerations. The Foxface Rabbitfish is found in the Western Pacific, from approximately 30°N to 30°S. This is a reef associated species that inhabits lagoons and seaward reefs with prolific coral growth. It can be found down to a depth of 30 meters / 100 feet. 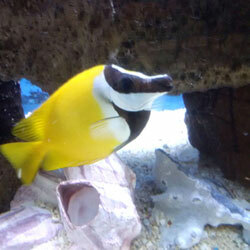 The Foxface Rabbitfish is a hardy marine species. It should be kept in an aquarium where there is plenty of space to swim around in and it is not advisable to house this species in aquariums smaller than 70 gallons / 265 liters. The Foxface Rabbitfish can be combined with other peaceful, or even slightly more aggressive, species in a community aquarium. Predatory fish will normally leave the Rabbitfish alone since they don't want to get close to its venomous spines. The rabbitfish has an ability to camouflage itself as another means of staying alive. It can dramatically change its appearance at will, and typically does so when sleeping or when frightened. Regardless of their "normal" overall coloration, which is often quite bright, they can lose it and take on a splotchy appearance that's not colorful at all. When hiding out, especially in rockwork and in the branches of corals, these patterns can be very effective and do quite a good job of making the fishes more difficult to see. The spectacular lionfish are hardy specimens that adapt well to life in captivity, where they reach an average length of seven inches and can live from five to 15 years. They usually prefer live foods, but some species convert to frozen foods quickly, especially when young. Provide these fishes with ample hiding places and an appropriately sized aquarium for the species. Lionfish are members of the family Scorpaenidae (scorpionfish) and the subfamily Pteroinae. There are six genera in this subfamily, and approximately 22 species. The fish you most often see in the aquarium trade belong to two genera: Dendrochirus and Pterois. The lionfish have complex courtship and mating behaviors. Not only are these fish incredibly interesting and beautiful, but they are also very dangerous; their spikes are coated with venom that can sting. 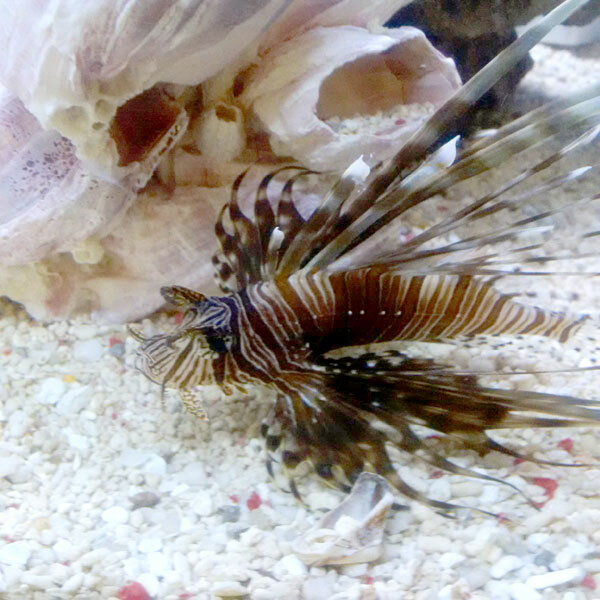 Though they may appear intimidating, the lionfish is generally peaceful and hardy in the home aquarium. If you are looking for a way to add some intrigue to your saltwater tank, consider adding a lion fish. 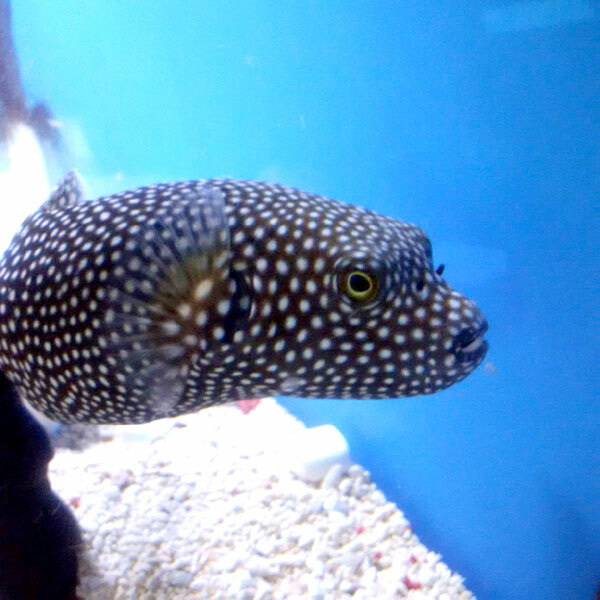 The blackspotted puffer (Arothron nigropunctatus), also known as the dog-faced puffer, is a tropical marine fish belonging to the family Tetraodontidae. They make a special, interactive pet that, like their four-legged namesakes, enjoy the attention they receive from their owners. The Dogface Puffer fish is a saltwater species that are found in an area stretching from the area south of Japan to east Africa and south Wales. Adult specimens are usually aggressive. It is usually not advisable to keep two dogface puffer fish together in the same aquarium owing to their aggression. The Dogface Puffer prefers a tank of at least 100 gallons with plenty of places to hide and swim. The beautiful Zebra Moray Eel is easily recognized by its zebra striping, narrow white bands on a chocolate or golden brown background. It is also readily distinguished from other eels by a blunt rounded snout. 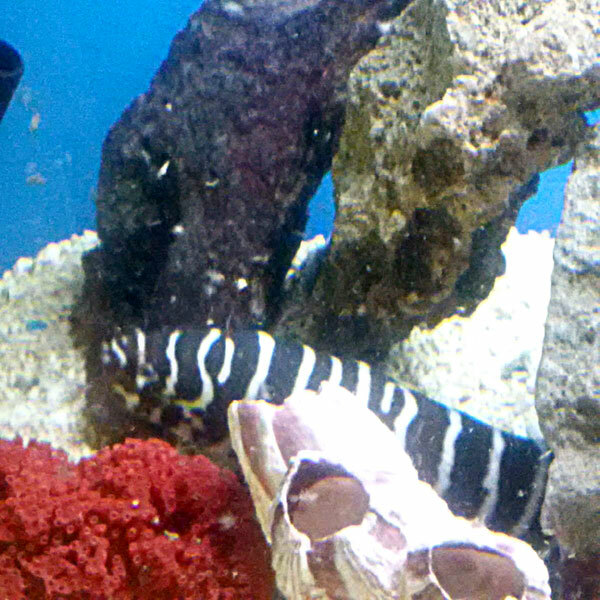 The Zebra Moray Eel is an ideal moray for the community fish tank. It poses no threat to its fish tank mates or the aquarist, and is often out and about during the day rather than at night. A large aquarium must be provided with crevices for hiding that are large enough to conceal the eel's entire body. Though rather reclusive, the reef safe Zebra Moray Eel is very peaceful and slow moving. It needs lots of rock in order to conceal its entire body, but once comfortable in its environment, it will venture out for food. They are very docile and compatible with fish, even other species of eel, and are easy to keep once they are established in the aquarium. Tropical Dreams Aquariums, Inc. Â© 2019. All rights reserved.